1. of the nature of or according to a program, schedule, or method. A few days ago, I started shopping for some professional video lighting solutions. I checked out eBay, Amazon and B&H Photo. Immediately thereafter, the shade of display advertising that I see on other unrelated Websites and social media picked up the beat and started showing me numerous ads for, you guessed it! …professional video lighting solutions. Personal advertising of the future in the year 2054, as predicted in Steven Spielberg’s 2002 hit film Minority Report, has arrived 40 years earlier than expected. Programmatic data acquisition provides the threads that can be used to connect numerous portions of my virtual identity to: marketing suggestions in targeted display advertising, prompts for a like on Facebook, providing me with relevant coupons, offering me ticket reservations for a movie or a concert or asking me to book a test drive at my local auto dealership. For $1,495 plus travel expenses you can try to comprehend the shift at PROGRAMMATIC I/O on March 24, 2014 in San Francisco. In a single day, more than 30 expert speakers plan to cover the latest trends in programmatic media and marketing, including: Evolution of Ad Exchanges, Real-time bidding (RTB), Retargeting, Video, Private Exchanges and Marketplaces, Mobile and Tablet, Connected TV, eCommerce, Data Management, Data Visualization, Attribution, Viewability, Analytics and Insights, User Experience (UX) and more. You can start by creating your own loyalty groups and then reward them. 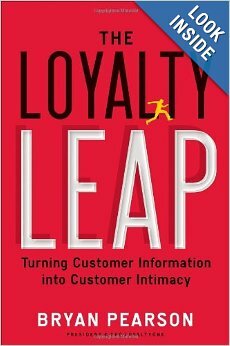 As Bryan Pearson explains in his book, it comes down to using the customer information you have to change the way you manage your business. A recent SocialBakers study found that “61.7% of brands’ social media strategies are focused on customer acquisition, while only 28.9% are focused on customer care.” There’s a huge disconnect here. Are you collecting customer data? Do you have a mailing list? Have you set up an email data management program? Service providers like Constant Contact not only allow you to manage subscribers and send email, they also allow you to expand the data fields you collect and then reach out to specific targeted groups.